Quinnipiac University has suspended the entire men's lacrosse team as the school investigates possible violations of the student conduct. 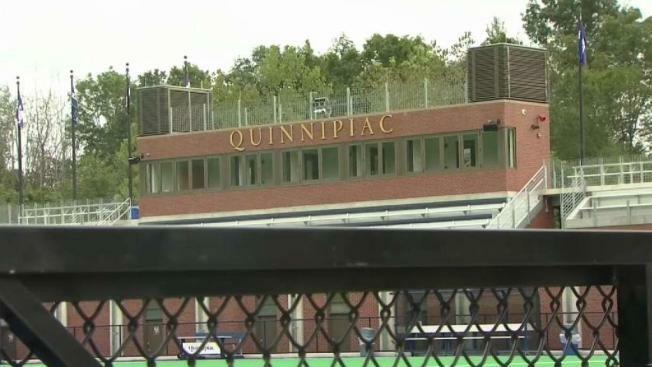 The Quinnipiac University men’s lacrosse team has been suspended due to allegations of violations to the student conduct policy, school officials confirmed Sunday. The school did not specify what violations may have occurred but confirmed the team was barred from practicing or playing in competitions. “This suspension, which takes effect immediately, prohibits all team activity, including practicing and representing the university in competitions. With the well-being of our students being our top priority, the university has zero tolerance for any behavior that endangers any member of the university community,” wrote Lynn Bushnell, the university’s vice president for public affairs. More details were not immediately available. Check back for updates.